The World Protection Group is the leading company in the executive protection industry to use and integrate drones into its operations. We also support small- and medium-sized law enforcement agencies with our drones and trained and FAA commercially-licensed remote drone pilots and provide these services to private organizations that want to use this exciting new technology to deliver a more sophisticated security operation and to make better strategic and tactical decisions. We possess a fleet of state-of-the-art DJI drones and several trained, experienced, and FAA commercially-licensed remote pilots to fly them. 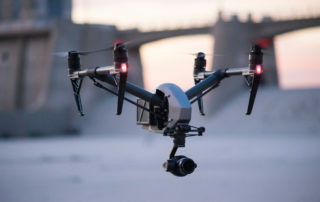 Our fleet includes DJI Mavic 2 Enterprise Dual, DJI Sparks (technical specifications), DJI Mavic Pro Platinum (specs), and DJI Phantom 4 Pro V2.0 (specs). 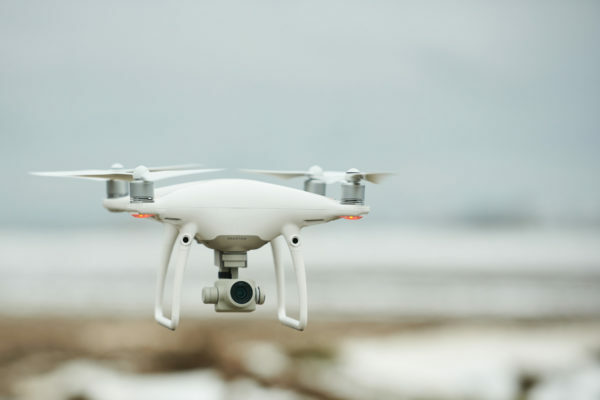 Contact us to set up a free, private consultation about the use of drones for your personal or organization’s security. How and Why does The World Protection Group use Drones? Drones can be deployed much more quickly than ground-based security personnel and cover a larger area. They can also be deployed to areas that might be inaccessible or unsafe for security personnel. They are hundreds of times cheaper than a helicopter, while also having the advantage of being more discreet as well as more nimble and able to penetrate confined spaces. Drone cameras can provide superior coverage to stationary or CCTV security cameras. They have a 360 degree view, they are generally out of reach of disabling attacks, and they can follow suspects or persons of interest as they move. The World Protection Group has been at the forefront of innovation in the executive protection industry for the past twenty years. Our clients benefit from security improvements and cost reductions from employing best practices (see case studies). By the time a technique or technology becomes widespread, our executive protection agents have usually already amassed years of experience and training using it in their operations. We have never had a security breach or unresolved security incident. Fill in the contact form below to schedule a no-cost, no-obligation consultation with a drone security expert.